Satellites Spot Secret North Korean Nuclear Missile Sites - Joe.My.God. U.S. analysts said Monday they have located more than half of an estimated 20 secret North Korean missile development sites, highlighting the challenge the Trump administration faces in ensuring that North Korea complies with any eventual agreement to end its nuclear and missile programs. The findings, which were released amid signs the administration’s negotiations with the North have stalled, draw on commercial satellite imagery and identify 13 secret facilities used to produce missiles and related technology. 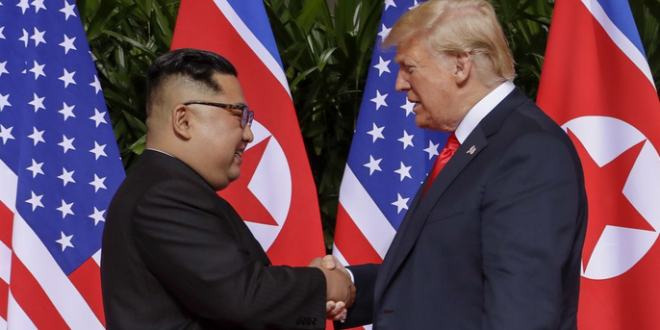 They suggest that Pyongyang is continuing its missile work, even though it has halted test launches in what President Donald Trump and his administration have claimed as a success since his historic June meeting with North Korean leader Kim Jong Un in Singapore.